Saretzky is due back in court today to determine if he is fit to stand trial. LETHBRIDGE, Alta. — A man accused of killing a two-year-old Alberta girl and her father is to be back in court today after a psychiatric assessment to determine if he is fit to stand trial. Derek Saretzky, who is 22, is charged with first-degree murder in the deaths of Hailey Dunbar-Blanchette and Terry Blanchette. Saretzky was arrested after Blanchette's body was found in his Blairmore home in southwestern Alberta in September. Authorities couldn't find Hailey and issued an Amber Alert that stretched across Western Canada and into the United States. Her body was found a day later in a rural area. 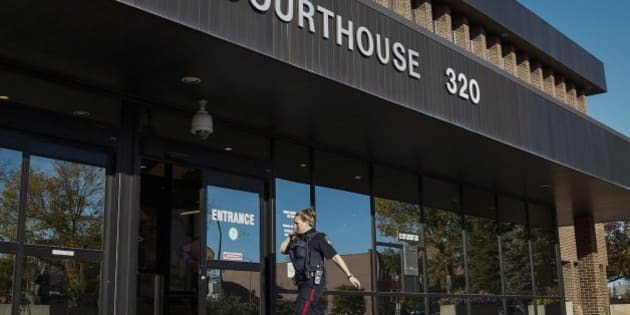 Saretzky's appearance at the Lethbridge courthouse comes after a 30-day mental review at the Southern Alberta Forensic Psychiatric Centre in Calgary.